And just like for everyone there comes a moment when they feel they are no longer a child. For me this moment came when I was 22 and my father died. As profound of a loss it was, it also brought us closer because she could relate having had a similar experience, and so our connection deepened and matured. 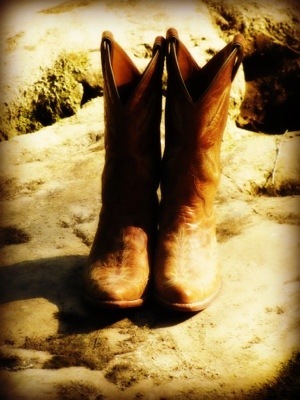 Since then she’s seen me get married, change jobs, move, give birth (literally), get divorced, get remarried, choke on a hot dog (don’t ask)…and she still looks better in cowboy boots. She is one of the dearest, most special people in the world to me. She is great-aunt and godmother to my daughter (who is also named after her) and you can see the cycle of “cool aunt” beginning again–she was co-chaperone at my daughters karaoke party and her friends were all like: “who is that cool lady with your mom?” August is her birthday month and in honor of her and all the cool-aunts of the world, here is a list of gifts that just may possibly be as awesome as they are…maybe. 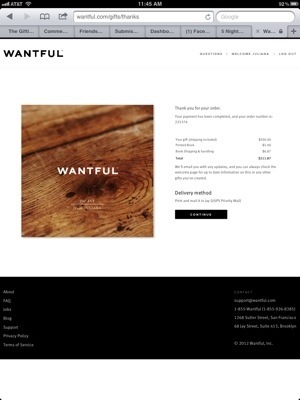 Curate a hand-picked selection of amazing gifts presented to your recipient in an uber-chic catalog form that they can shop from on Wantful. Best part for them: it’s already paid for and you get to select the denomination. Birchbox: If you haven’t yet heard of Birchbox, here’s the deal: every month members get a curated box of ultra – luxe beauty samples from all kinds of product lines. They offer a gift service for various terms but there is a catch– this beauty service is so fantastic you have to join a wait list, so it’s not for the last-minute shoppers but it is so worth it. Get a jump on the holidays and join up now (starts at $10 a month). Make a custom piece of retro inspired art that tells her how special and totally awesome she is. 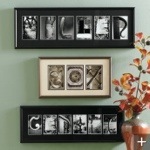 I think these pieces from Red Envelope (from $79.95 right) are pretty groovy, as are these Personalized Name Art pieces from GrandinRoad ($149, left). I’ve been collecting Le Mer watches for a couple years. I think I have four now and actually gave my Aunt D one last Christmas. 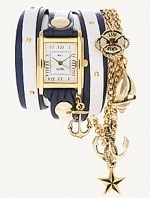 They have ones with simple chains or studs or funky themed ones like the maritime Portofino one shown above ($185 lemercollections.com). What’s super cute is the BFF one they have now. 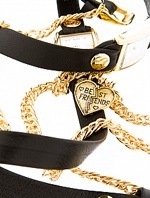 Check out the chain and charm collection here ($165). 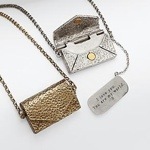 This Personalizable Vintage Love Letter Necklace can include up to three lines of text and looks edgy yet delicate ($89.95, Red Envelope). For a birthday, this Astrology Necklace is so sweet and the disc shape is very timeless but not precious ($45, Uncommon Goods). 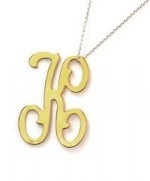 A trendy spin on family monogramming is this tribal gold charm necklace ($60) or for a more traditional take, this gold initial ($56) is very sweet and stylish, see the entire Be Monogrammed collection here.